Time to swoop in and grab them all. 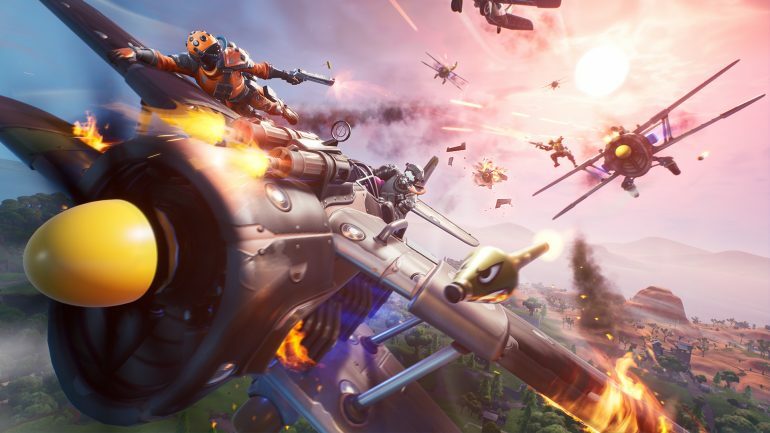 Another new Fortnite: Battle Royale event has arrived today out of nowhere following the v8.40 update, bringing with it a host of new challenges and rewards around the new Air Royale LTM, which ushers in the return of planes and new items. 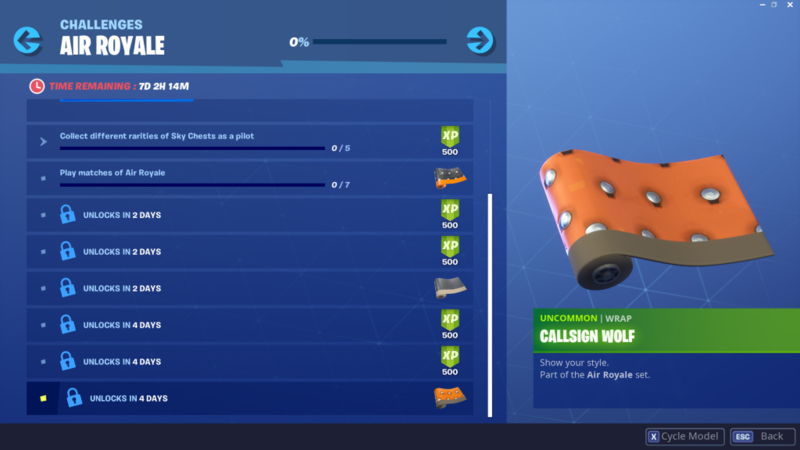 These challenges, nine in total, offer a bunch of EXP and Wrap rewards. 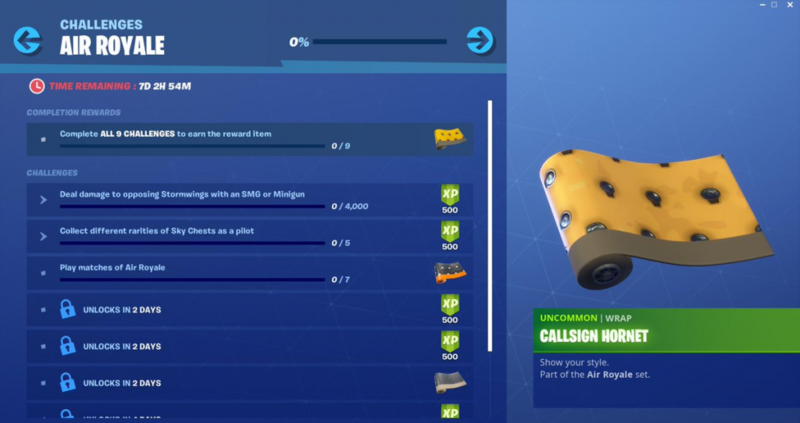 Completing certain challenges will unlock an abundance of XP while others will give you a new Wrap. Complete all nine challenges over the course of the next few days, however, and you will unlock the Callsign Hornet Wrap. 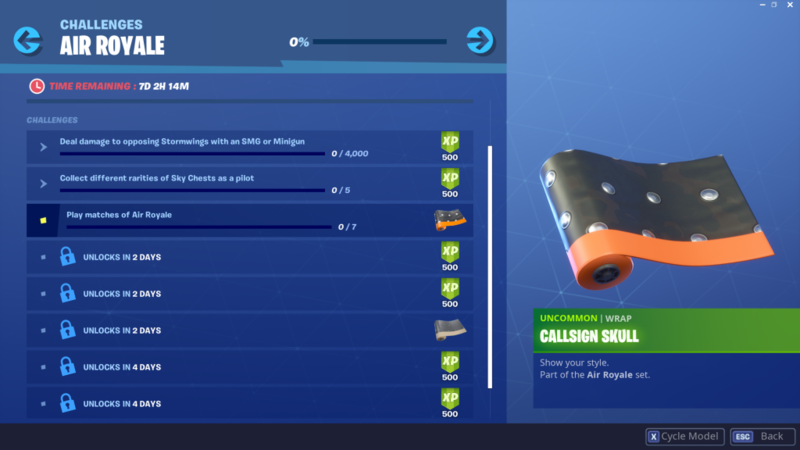 All items in the event are exclusive to the event. 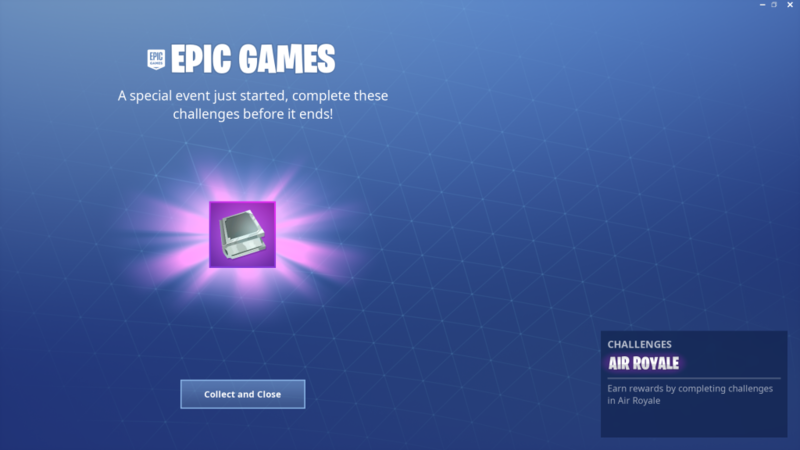 Challenges will be active from now until April 24. 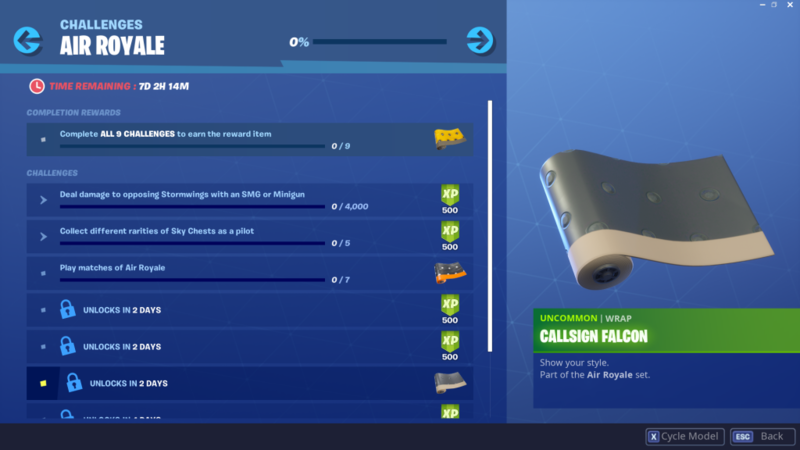 Once the event ends, you won’t be able to unlock any of the items on offer anymore. Here’s exactly what you have to do to unlock everything on offer.